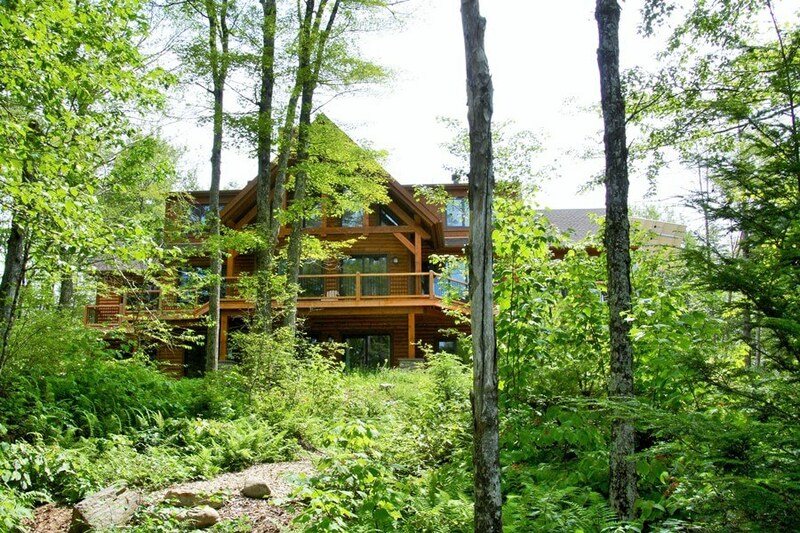 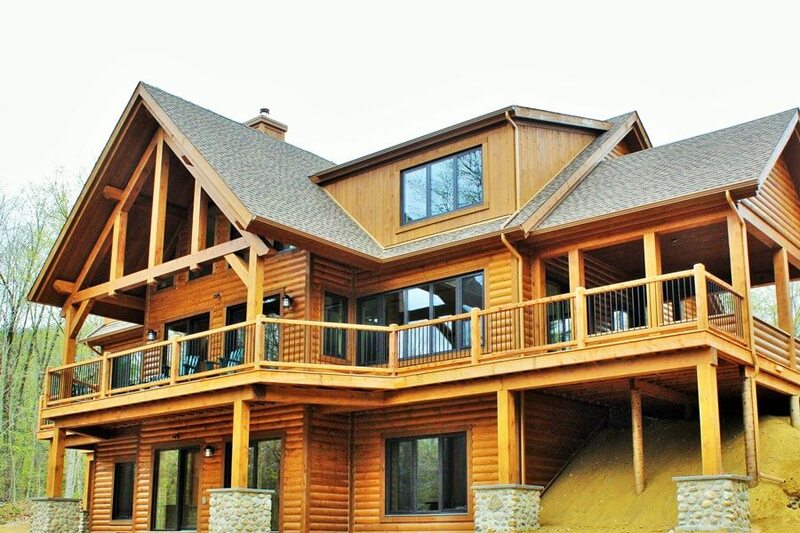 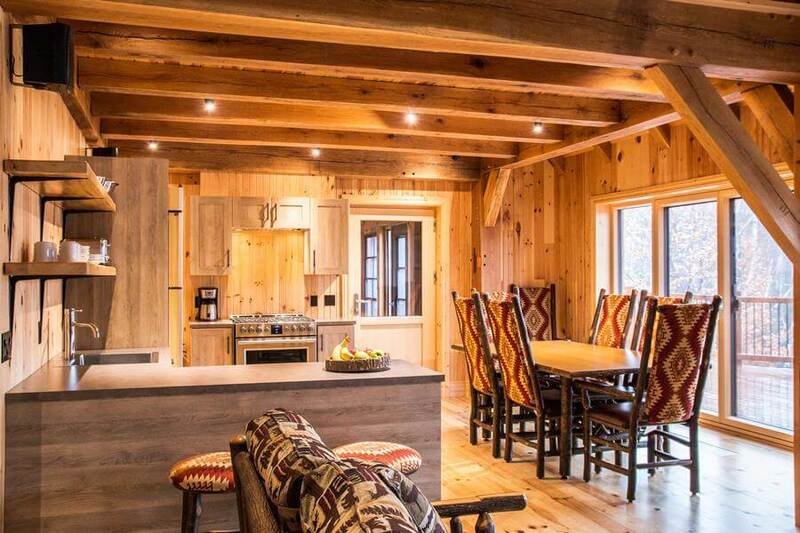 Open year-round, Papineau Chalet is the newest and grandest chalet in this nature reserve. 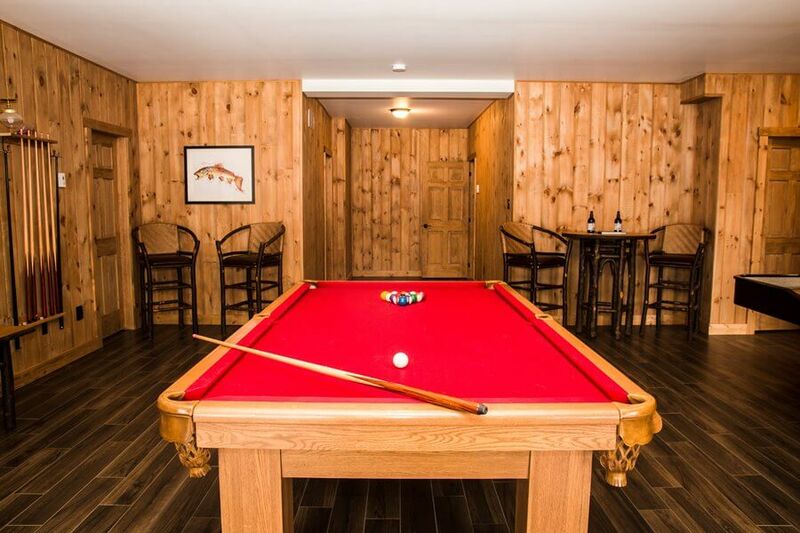 Spacious enough to easily accommodate 19 people, it has seven bedrooms, a large stone fireplace, and a games room with pool table. 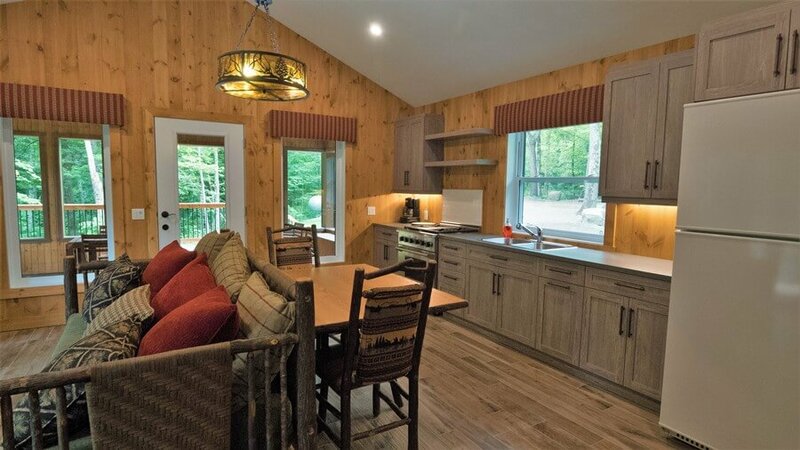 Tucked into the woods with a superb view overlooking Papineau Lake and the Kinonge River, this chalet is just a short paddle to Kenauk Nature's marina. 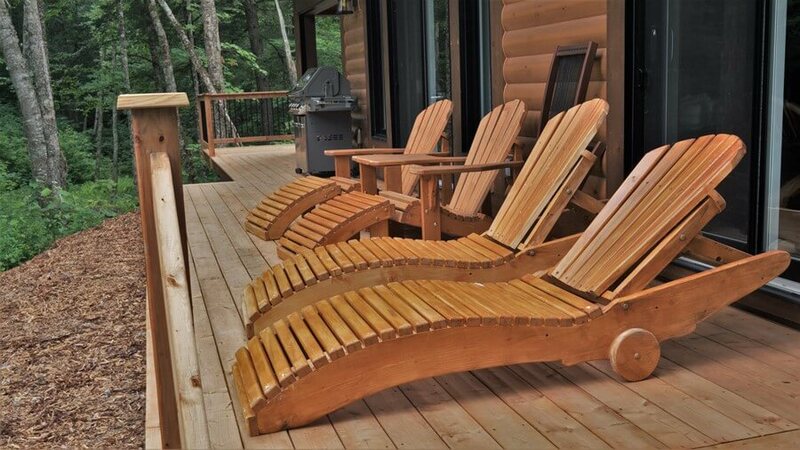 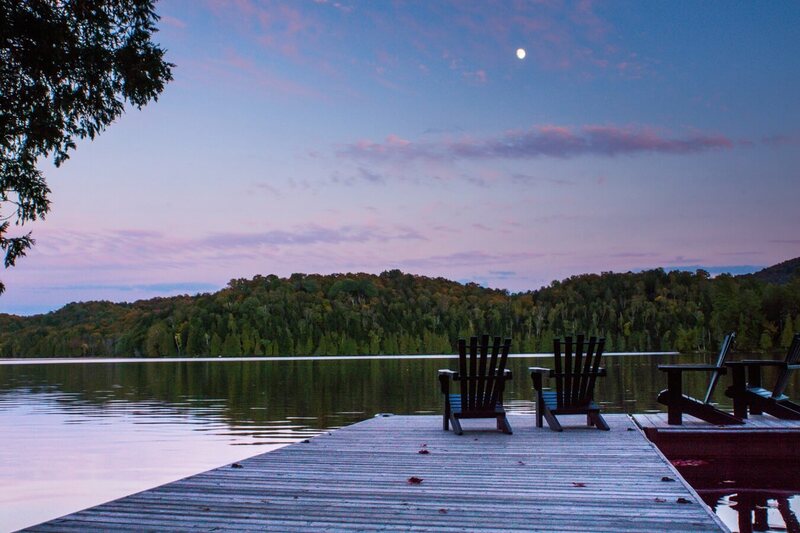 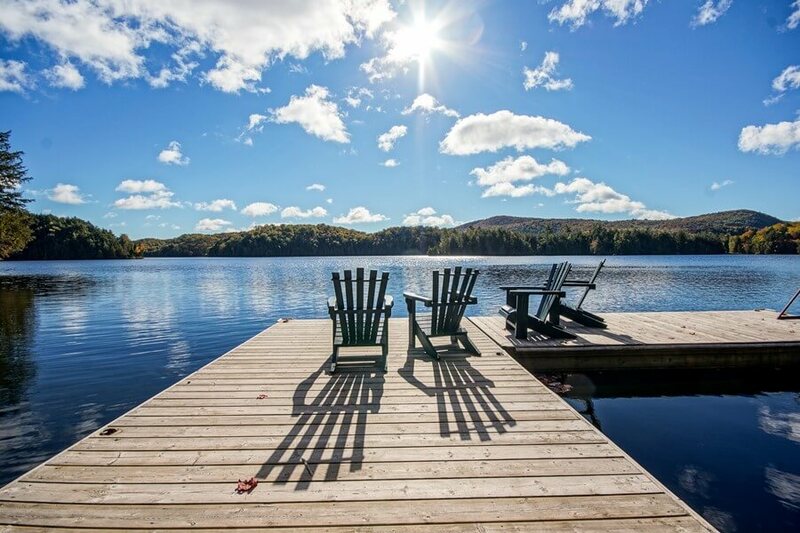 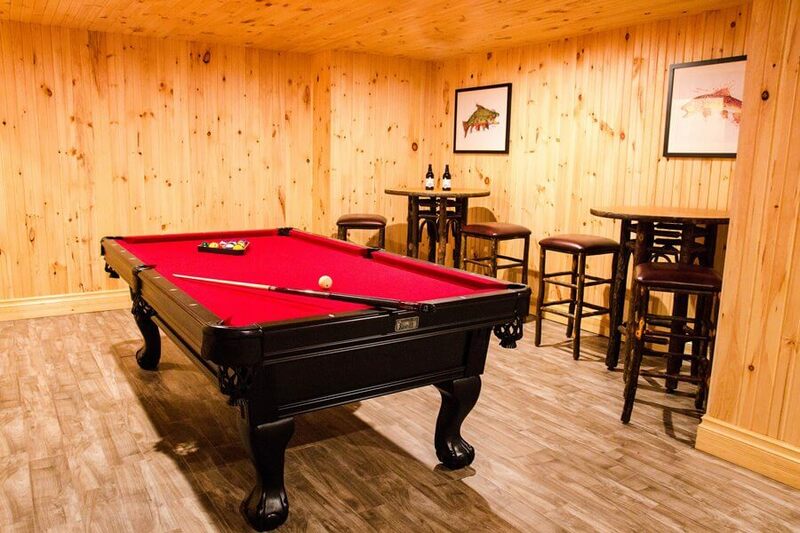 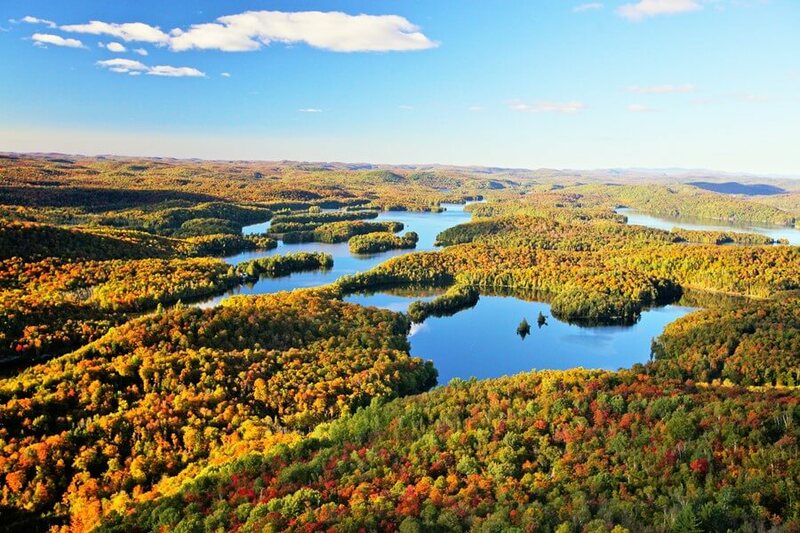 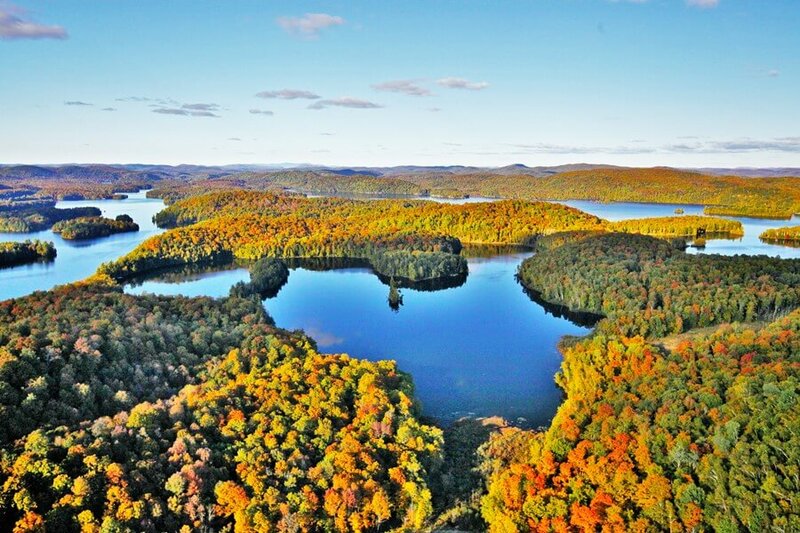 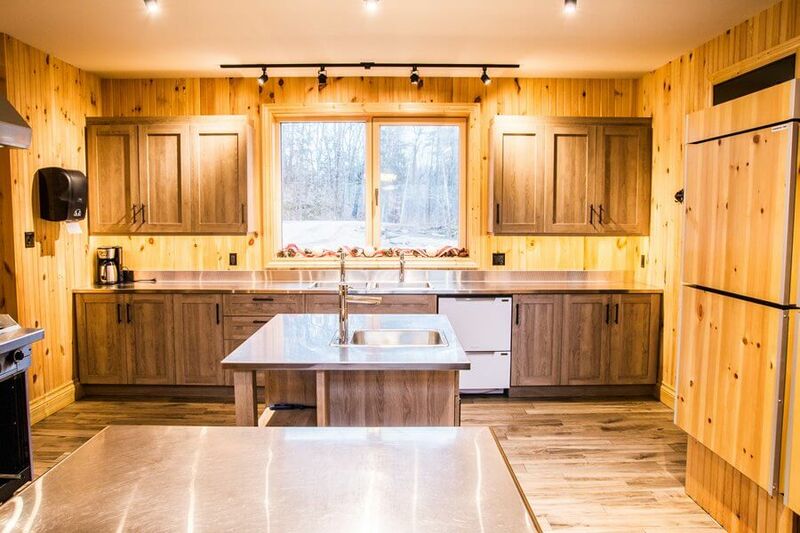 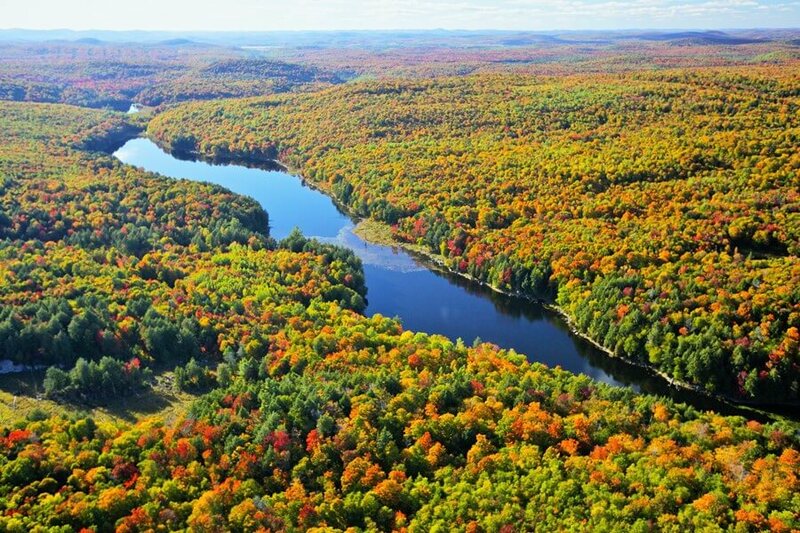 Included with this chalet are motor boats on Papineau Lake that provide access to lake trout fishing in spring, as well as bass and rainbow trout fishing in summer. 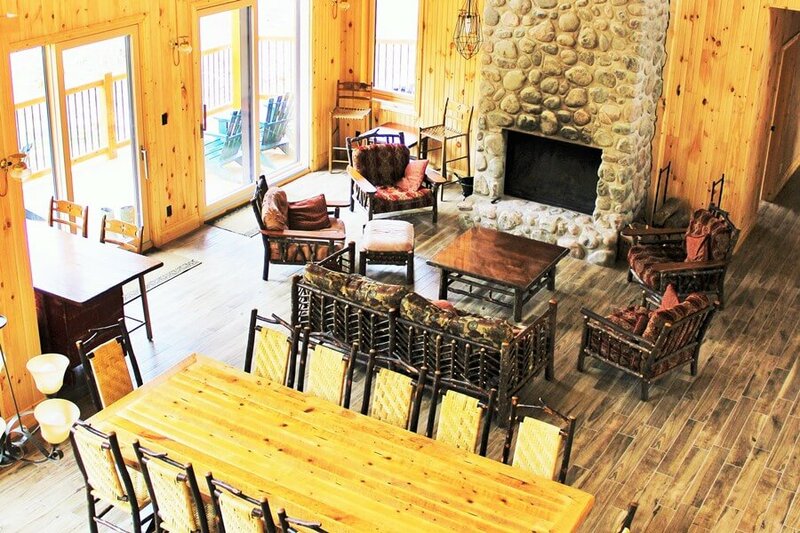 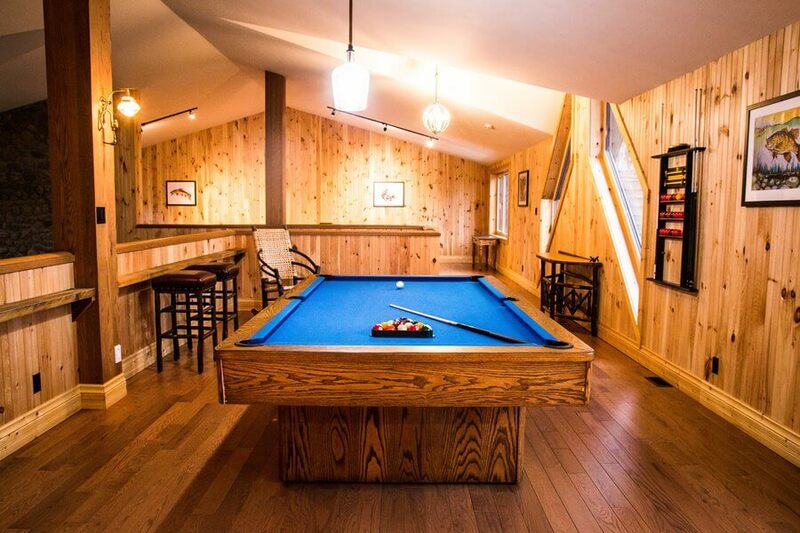 This chalet is ideal for large family reunions and corporate events! 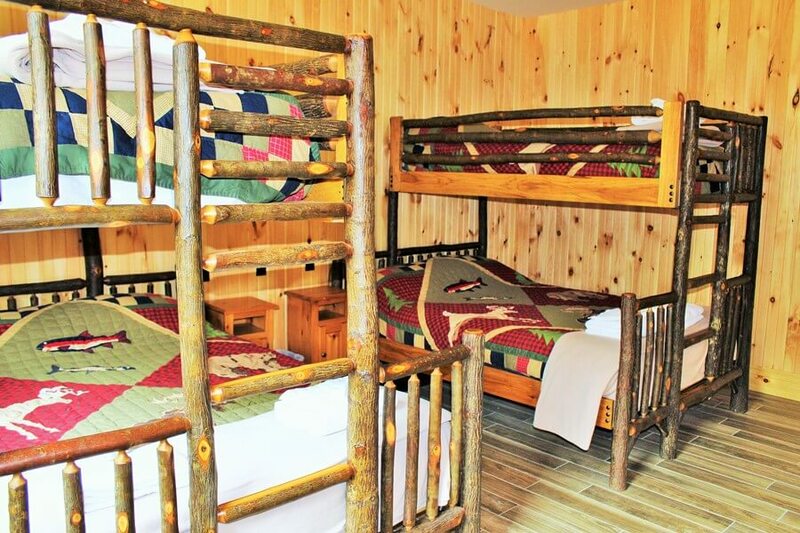 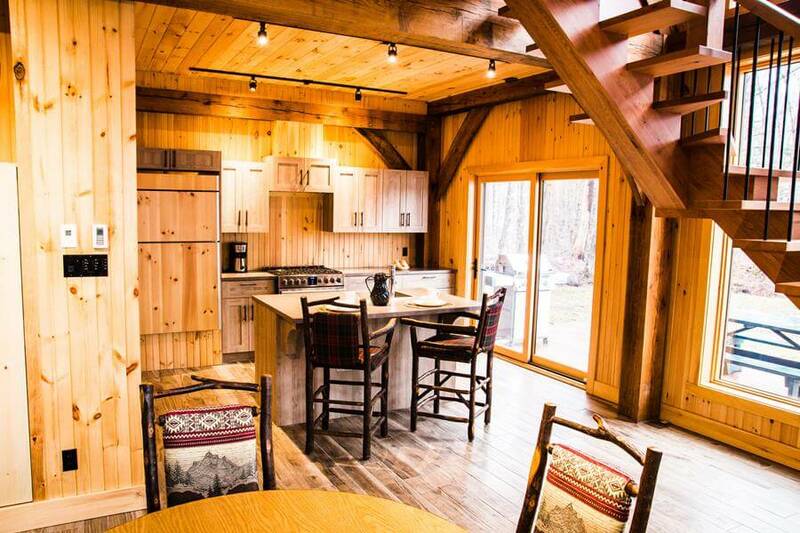 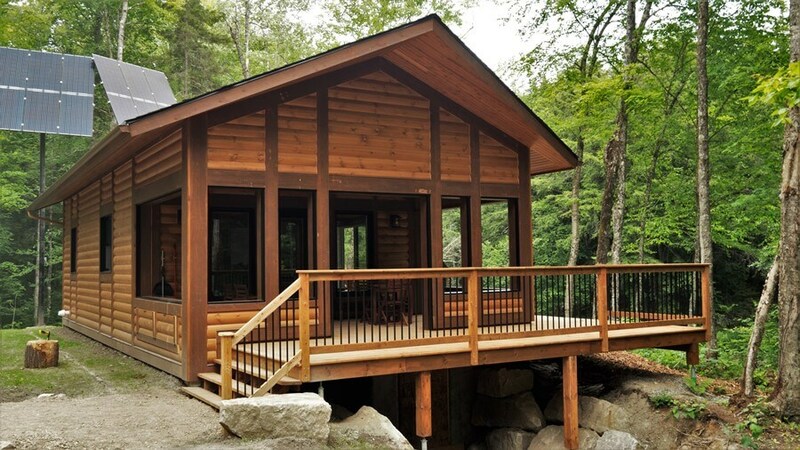 Perfect for up to fifteen people, this beautiful log cabin hideaway overlooks its own private rainbow trout lake. 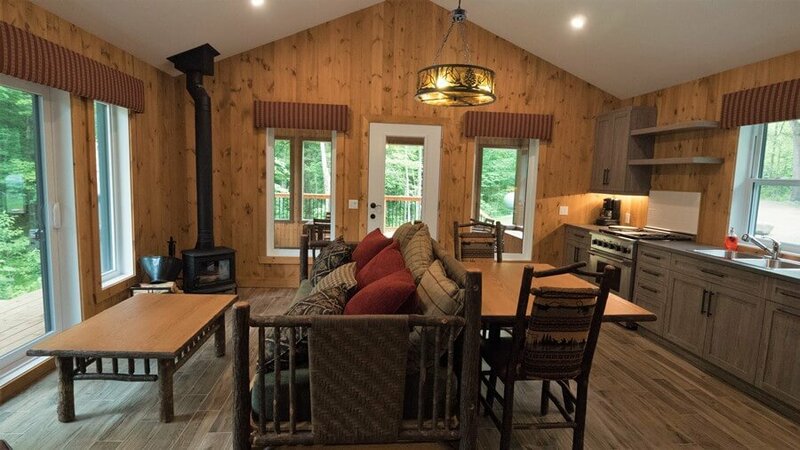 Located 9 miles (14 km) from the entrance gate, it offers five bedrooms, games room with pool table, a large stone fireplace, expansive south facing windows, as well as a spacious screened porch and open deck overlooking the lake. 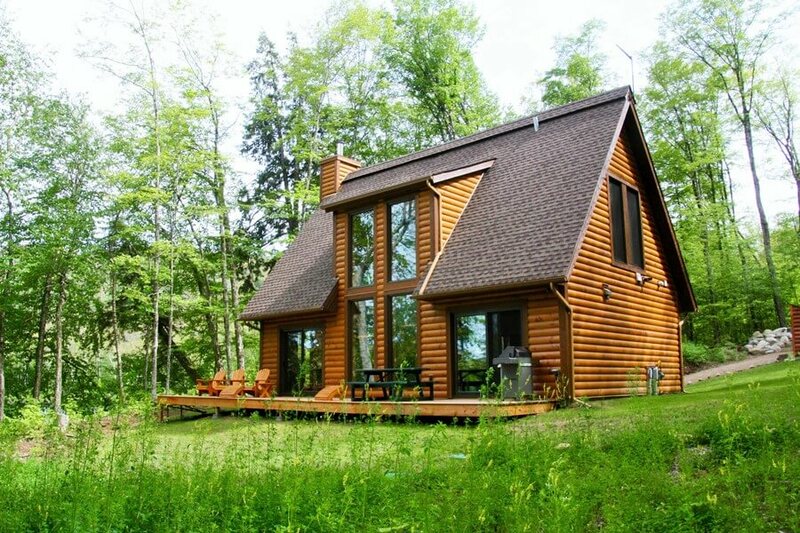 The spacious brand-new three-bedroom chalet has more than enough space to comfortably accommodate seven to eight people. 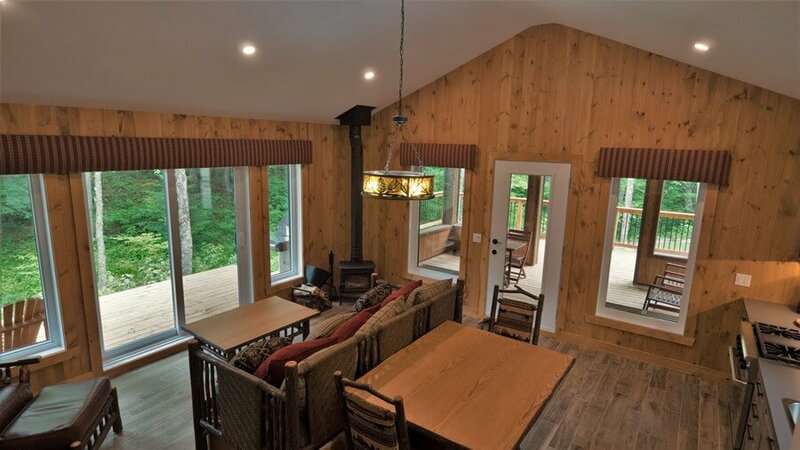 With exposed beams and a large wrap around deck, this chalet offers breathtaking views of Mills lake, a prime rainbow trout lake as well as Baldy mountain. 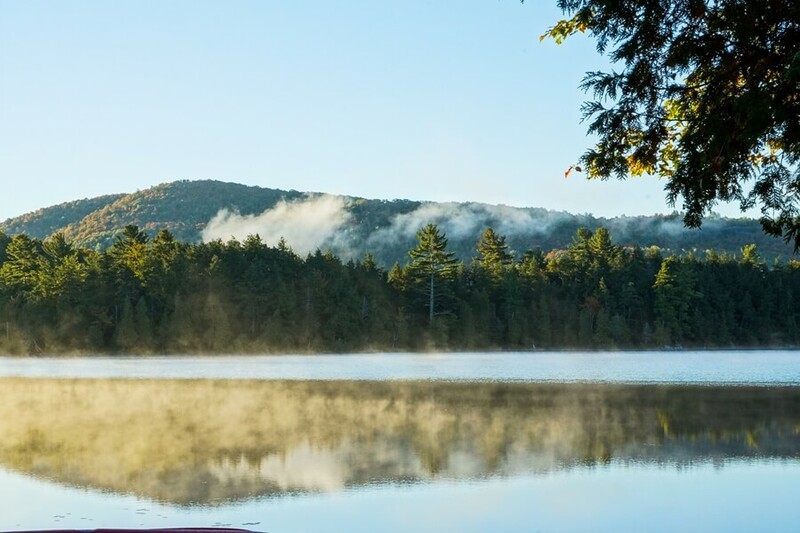 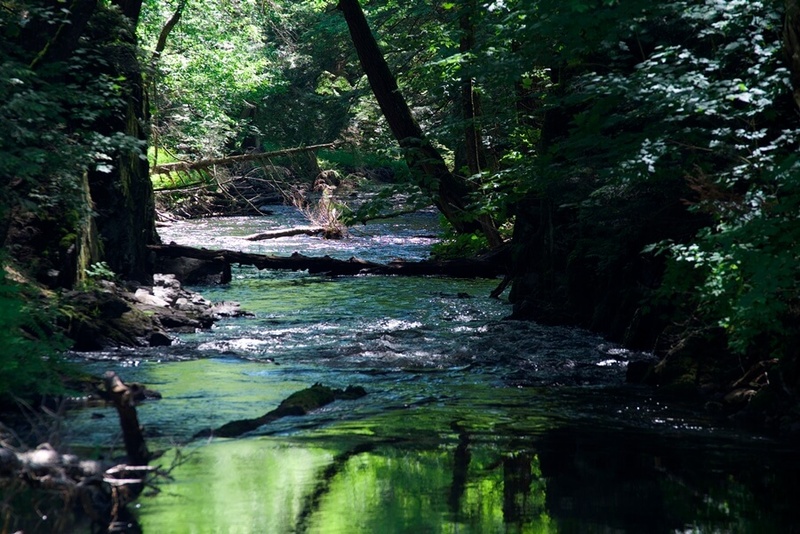 The deep water off the dock welcomes both those seeking to make the perfect cast to rising trout and those seeking to dive into a welcome respite from the summer heat. 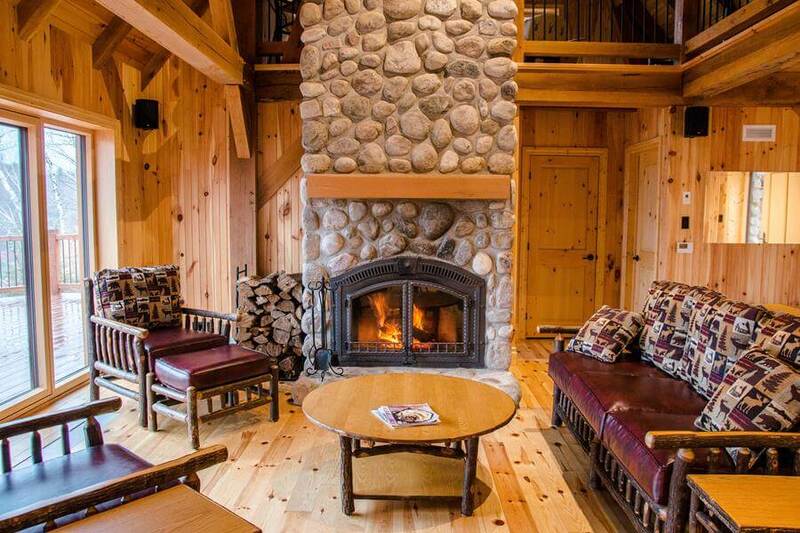 This elegant year round chalet even has two stone fireplaces, one indoor and one outdoor on the expansive screened porch, perfect for admiring sun sets. 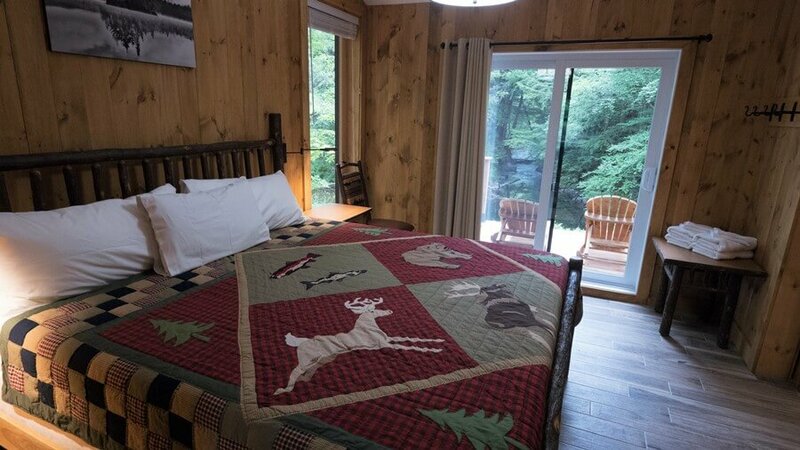 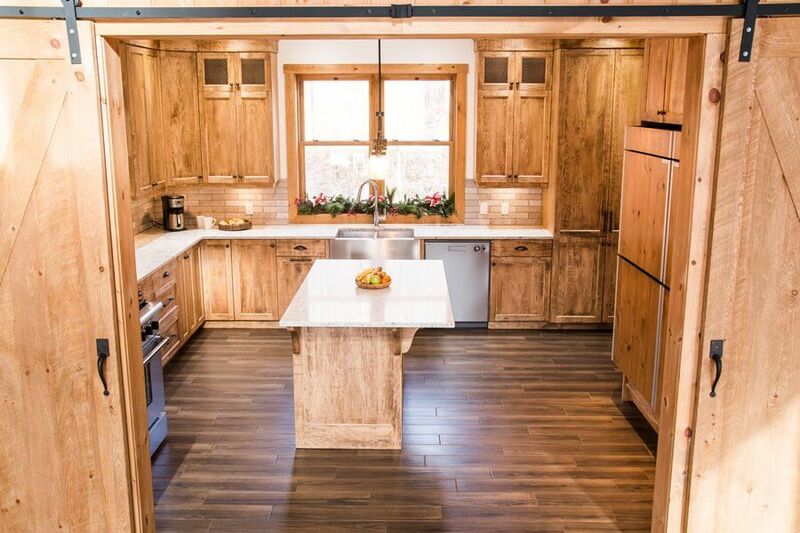 This spacious one bedroom chalet makes for a romantic getaway in rustic elegance. 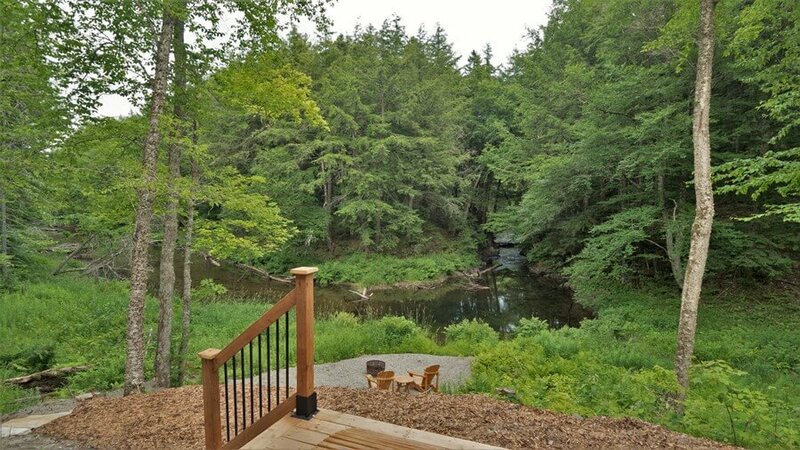 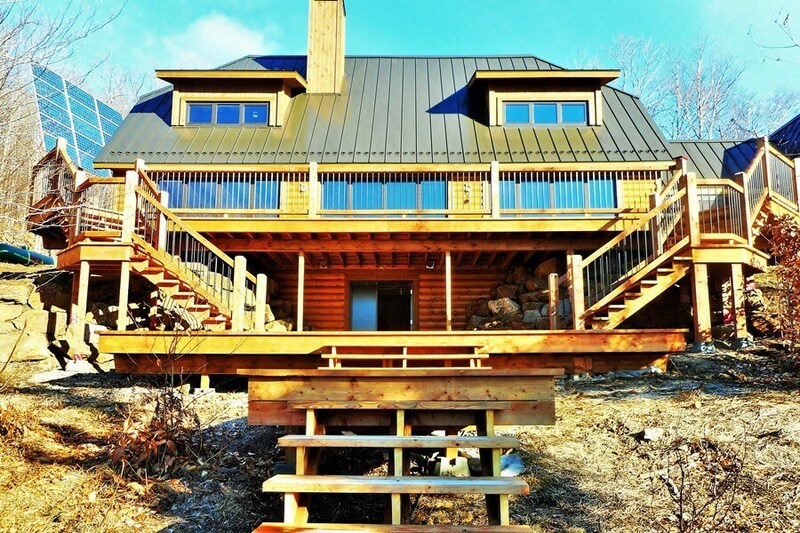 The newly built cabin overlooks Mills Lake, a prime rainbow trout lake. 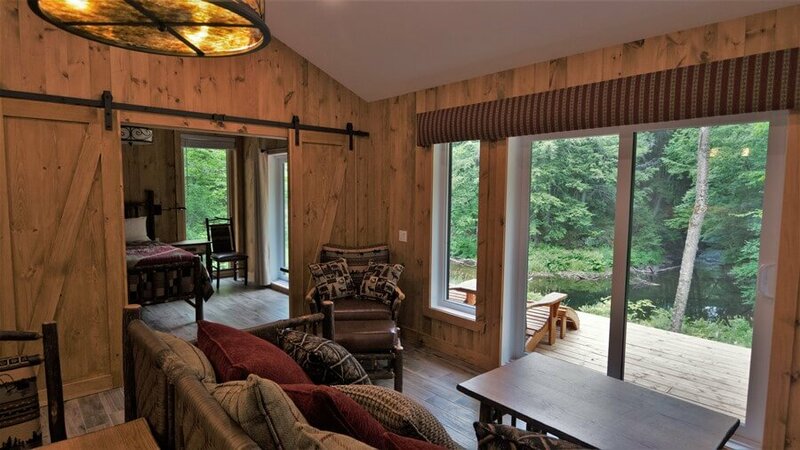 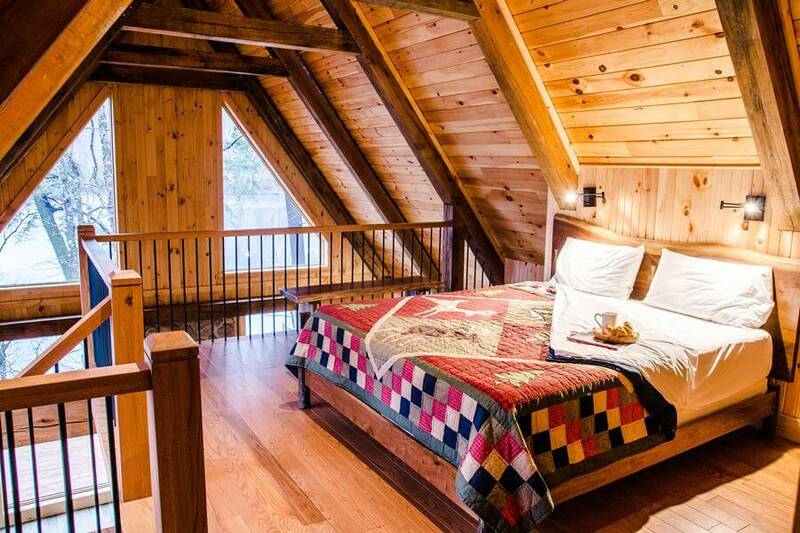 Timber framed and open concept, this retreat offers an open loft with a king size bed, a warm fireplace, and great ambiance. 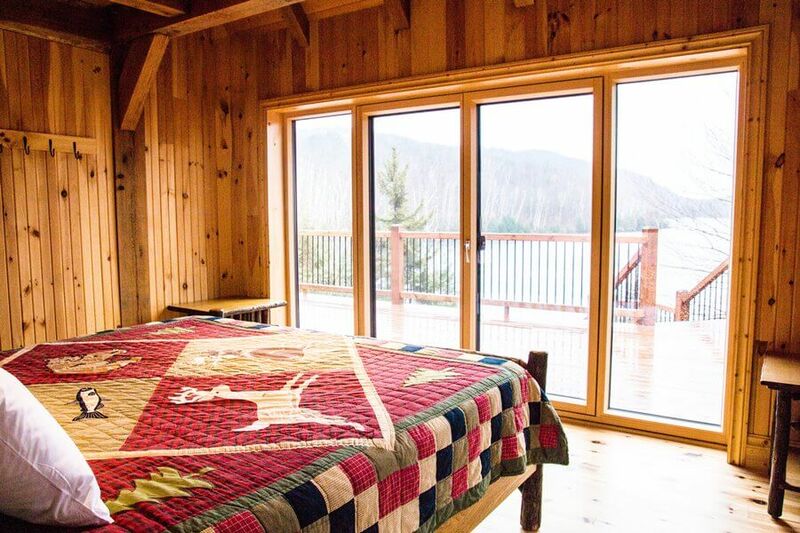 Large windows frame pristine views of the lake and Baldy Mountain. 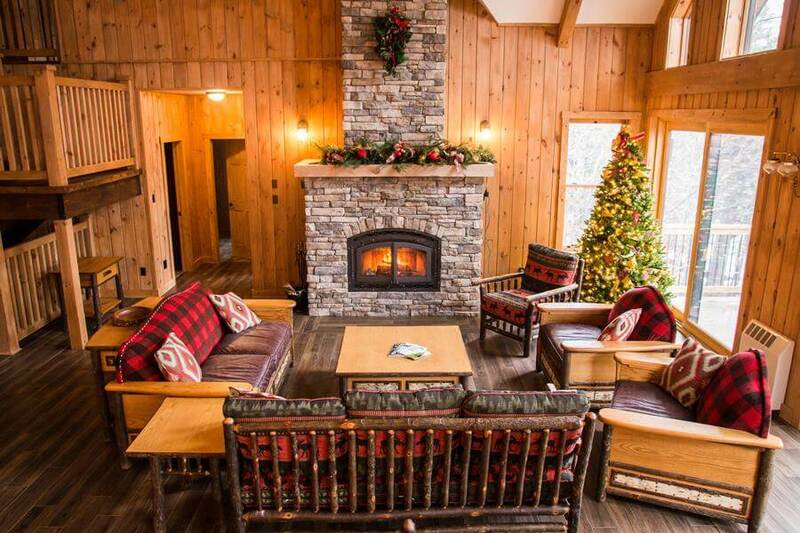 Open year round this chalet is the ultimate couples retreat. 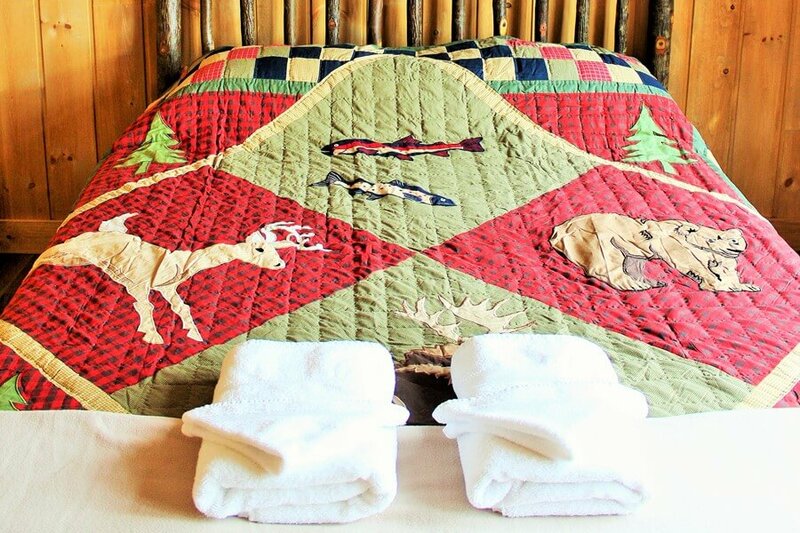 This cozy one bedroom chalet overlooks a breathtaking bend in the Kinonge river, making it the ideal place to relax to the sound of the tumbling river. 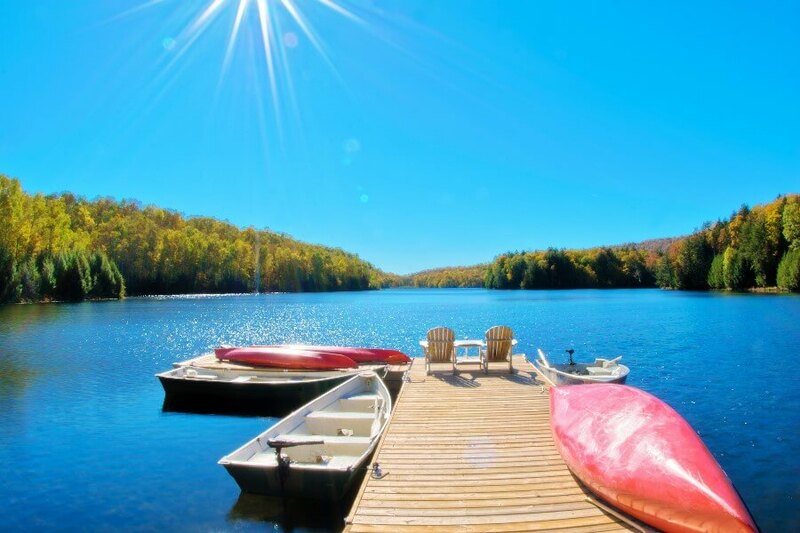 Only 11 km from the entrance gate it is ideally located midway between the Whitefish Lake Picnic area and the Marina. 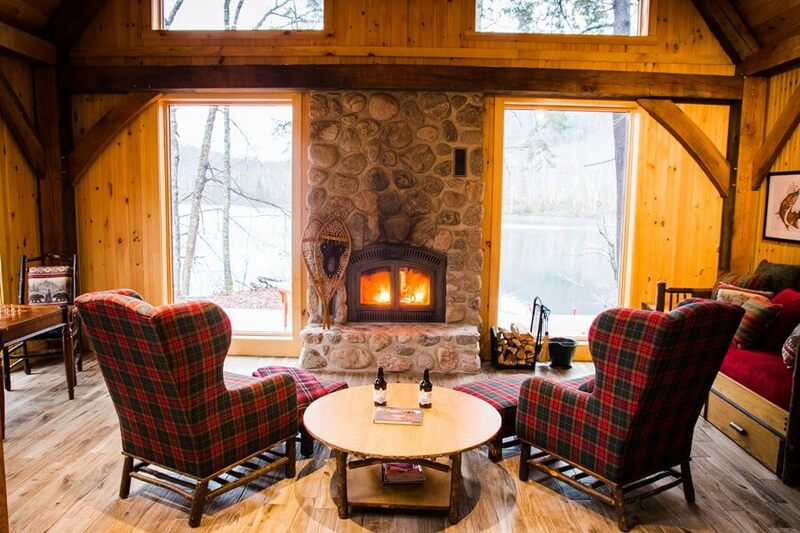 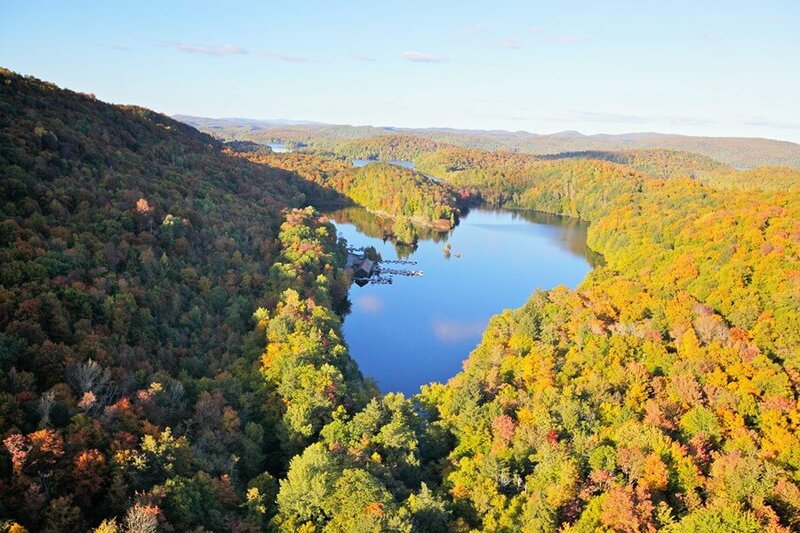 Amenities include a 3 season screen porch, sliding glass doors to the balcony that overlooks the river, wood burning stove/fireplace, large shower, and in floor heating. 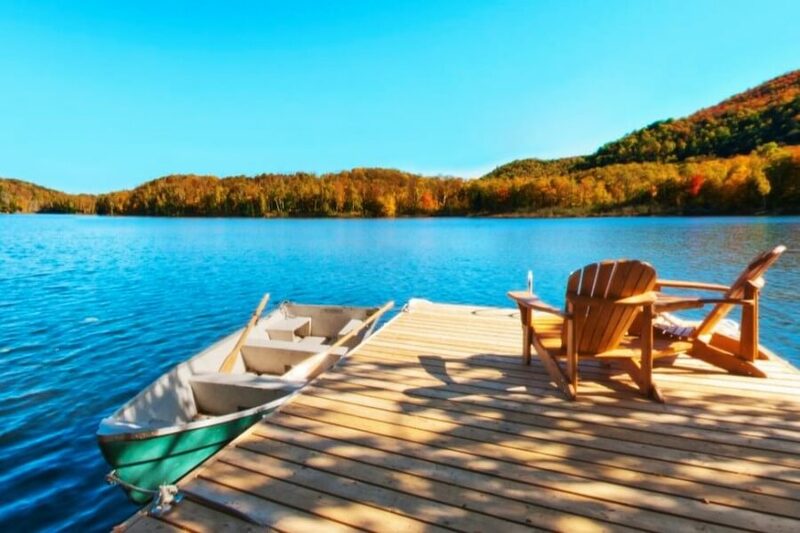 It includes access to canoes and kayaks at Whitefish Lake and a motorboat at the Marina.